Tomato container gardens are an alternative to a traditional tomato garden. Tomatoes are one of the most popular vegetables, well in this case fruits, of people around the world. They can be used in so many ways, in a salad or to make a sauce for pasta and a myriad of other ways in your culinary pursuits. Sadly in some places tomatoes are being priced at three dollars per pound or more. Fortunately, everyone can grow their own tomatoes, even people that live in apartments. The answer is to grow a tomato container garden. 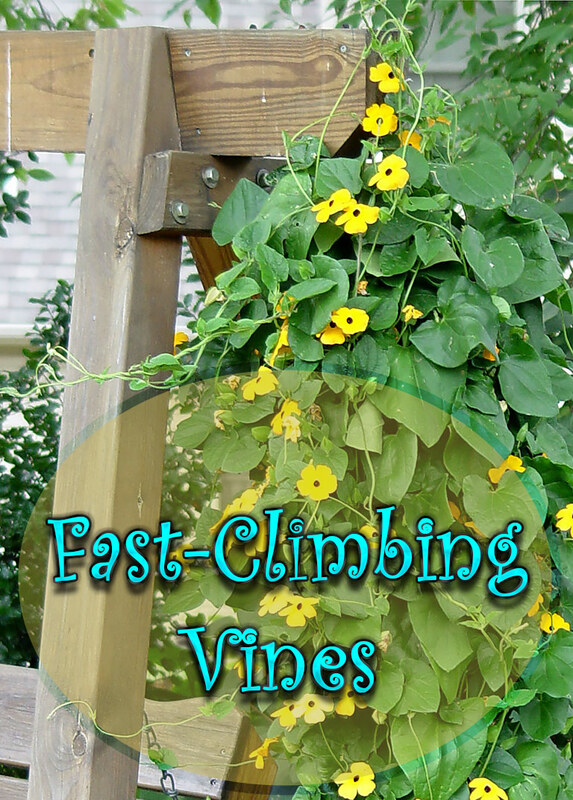 You can grow them on a patio or balcony or in a bright sunny room in your home. The number one essential is sun. Tomatoes require a lot of light and will not thrive without out it. The materials you will need to gather for your tomato container garden are simple. You will need containers that are about five gallons in size. Only plant one tomato plant per pot. 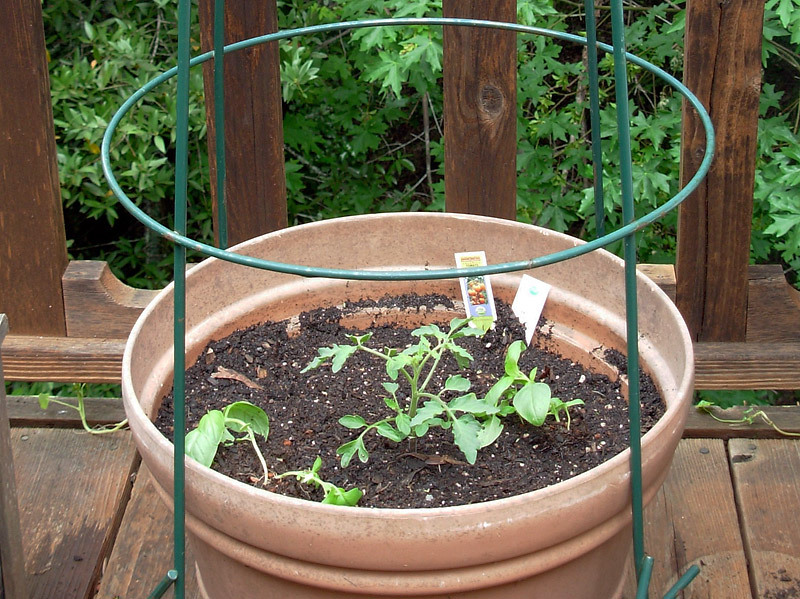 You will need soil, tomato seedlings and stakes or a wire cage to hold the plant upright. String, or products called twist-tie or sturdy-tie will be needed to tie the plant to the stakes or cages. You will need a plastic tray for drainage; good drainage is essential to the health of your tomato container garden. Last need on the list is fertilizer. 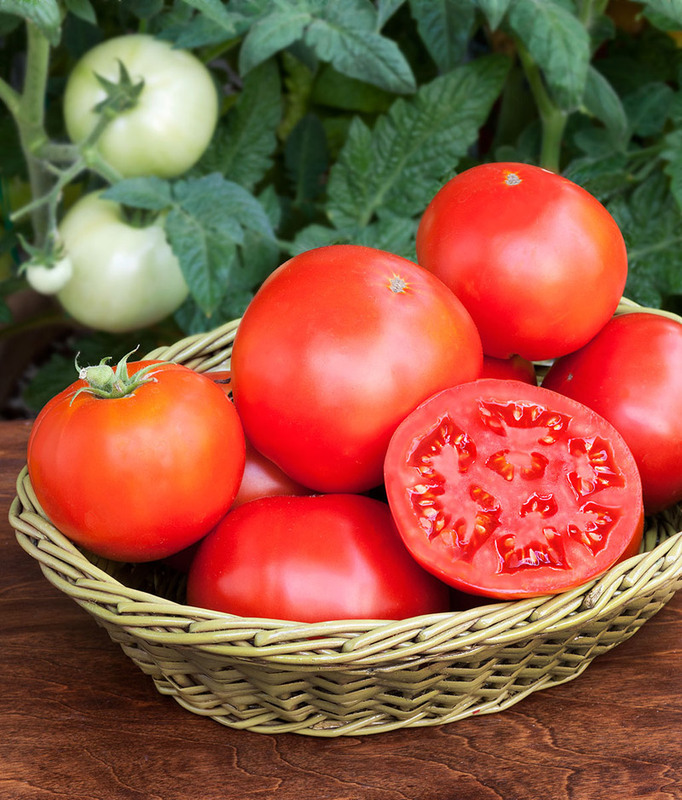 There are some species of tomatoes that will do better in your tomato container garden. 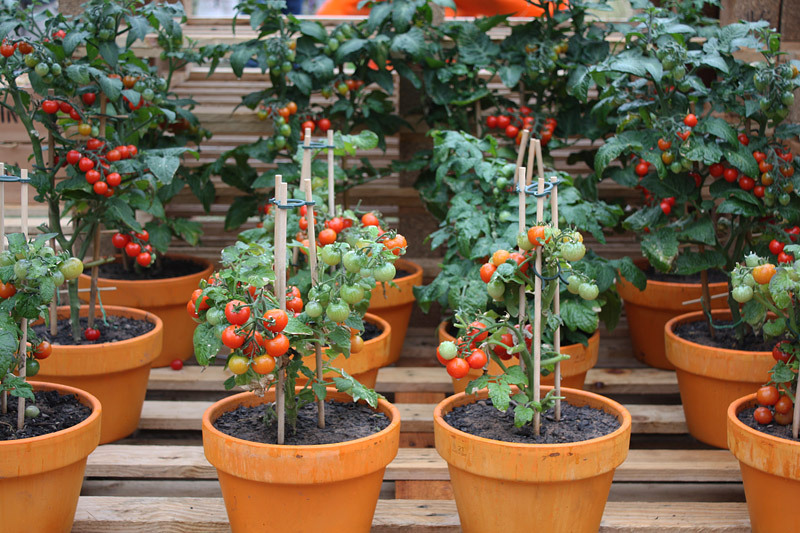 The bush varieties of tomatoes work well in containers and are popular with container gardeners. Cherry tomatoes and Christmas Grape tomatoes work well also because of their size and many gardeners grow them when space is limited. Other varieties that will flourish in a tomato container garden are Celebrity, Early Girl, and Sweet 100’s. 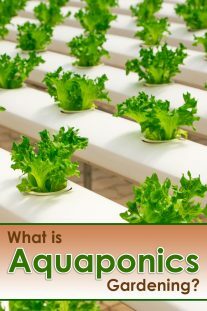 It really depends on which variety you want to grow and for what purposes. 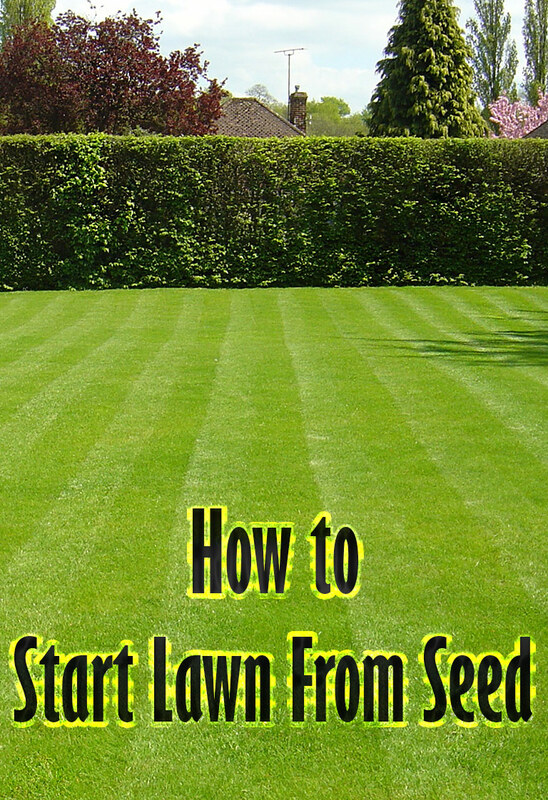 If you will be growing them mainly for salads the cherry varieties are the way to go. 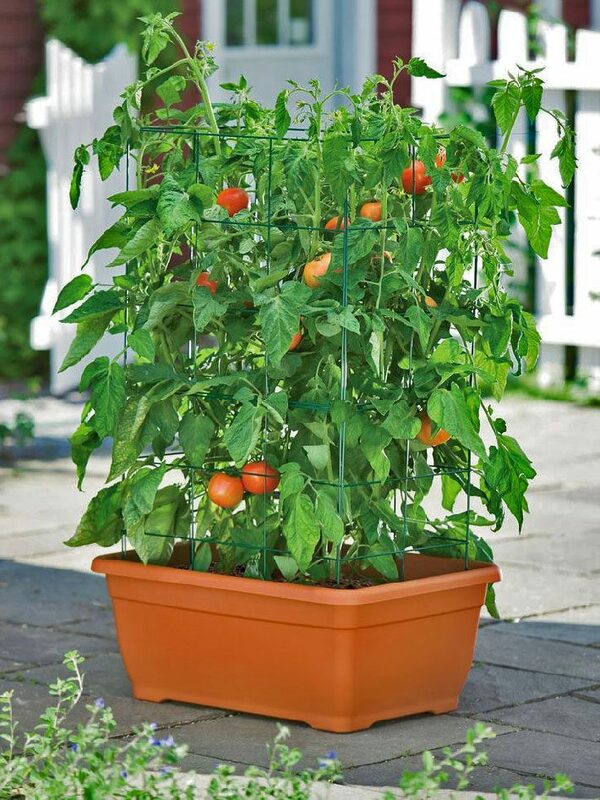 As mentioned before, sunlight is a requirement in order to grow your tomato container garden. Scout out the area you are planning to use for your tomatoes. The spot for your tomato container garden must get at least four to six hours of sunlight. The more light the better since the sun promotes healthy, steady growth. The two most important elements for success in tomato container gardening is sunlight and water. Other pluses to this type of garden is you no longer will be paying high prices for tomatoes, your containers won’t take up much space and one plant usually yields enough tomatoes to feed your family. 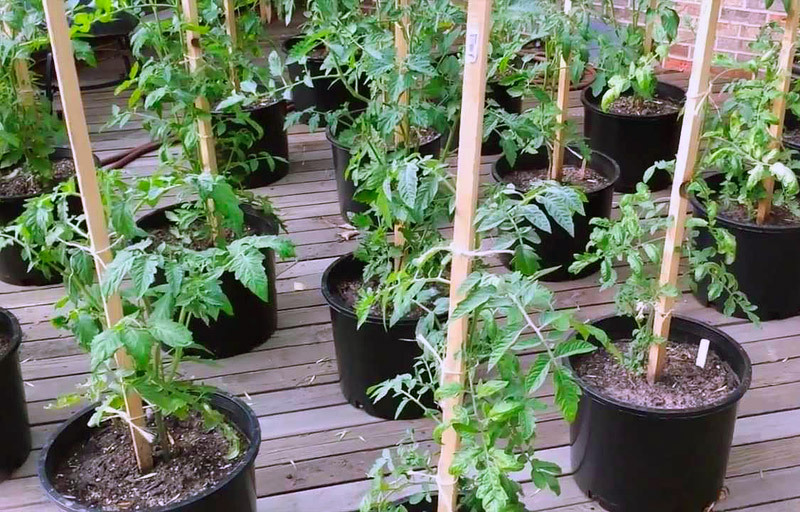 The cost of a tomato container garden is minimal and the feeling of accomplishment is great. So why are you waiting to plant your tomatoes? 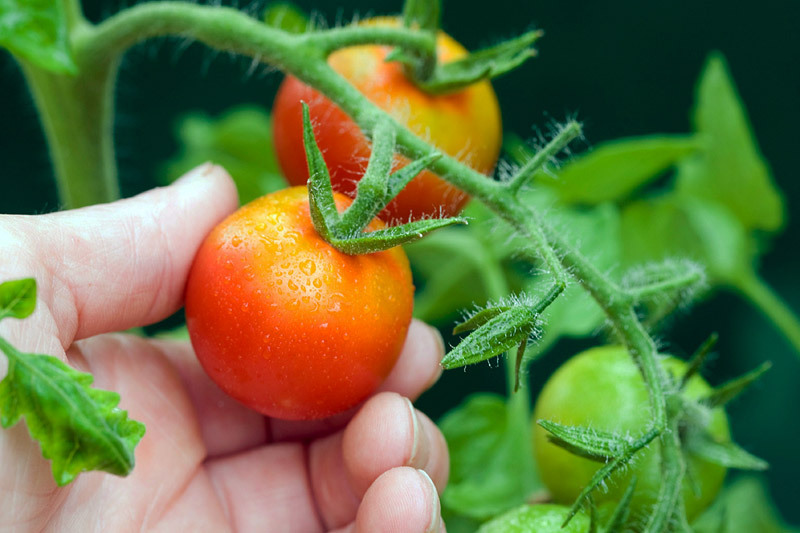 It’s time to choose the variety of tomato you want to grow, pick up some containers and start your tomato container gardens today.